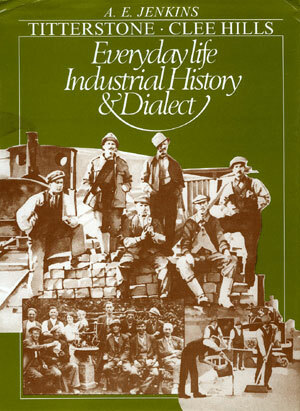 The title sums up the book every aspect of coal mining and quarrying life in the Shropshire hills is described. The Author a former Headteacher describes his formative years with many rare photos and information passed on by Miners and Quarrymen. Titterstone Clees stand one thousand feet above the surrounding, lowland countryside, overlooking Wales,Herefordshire, Shropshire, Worcestershire and the Midlands. Its summit is encircled by an ancient fort, and Saxon hamlets encroach its lower reaches. Titterstone Clees have been hacked and shaped by numerous industries since the Middle Ages; but in the 1850s an industrial revolution developed there. The author was born in a public house which was built for quarrymen and miners and this book is an oral testimony to those men. The story tells of a railway incline nearly two miles long which was built in the 1860s by the GWR and other entrepreneurs to capture the Clee Hills' coal trade. It unexpectedly lead to the development of three huge stone quarries and an influx of workmen from all over England and Wales via the railway. By 1911 two thousand men were working the stone alongside coal, clay, lime and hill farming industries. The imports superimposed their dialects on a Shropshire base producing an isolated community whose conglomeration of words was not understood just five miles away and one thousand feet below in Ludlow. The author's father was a publican, undertaker, smallholder and wheelwright. In addition to a fine collection of industrial and social black and white photographs there is a wealth of excellent line drawings showing details of wheelwrighting, gate making, coffin construction plus an extensive vocabulary of Clee Hills' dialect words and their meaning. Titterstone Clees remains the best selling local history book of the area and has just been re-printed for the 5th time.